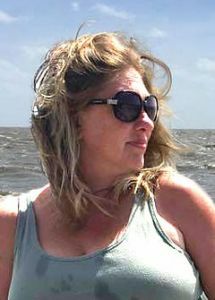 Bridget Tooley Lambert, 44, of Fayetteville, Ga. passed away on Tuesday, July 4, 2017. Bridget graduated from McIntosh High School in Peachtree City and then the University of Georgia in 1994 as a philosophy major. She was a member of the St. Gabriel Catholic Church of Fayetteville. Bridget was a partner and owner of two local businesses in Fayette County since 2002, including Play It Again Sports in Hudson Plaza and Pallet to the People, an internet business which is impossible to explain. She also worked as the director of the St. Gabriel Middle School religious education program until 2013 and continued to serve as a volunteer. Bridget’s passion was teaching children to swim as a member of the coaching staff of the Lakeside on Redwine Rays Swim Team. Particularly, her interest was in teaching first-generation swimmers. Bridget still found time to raise five model citizens and a husband. Bridget is remembered and revered locally for “coming-out” as a Democrat in 2006. Bridget is survived by her five children, Virginia, Albert Jr, Eleanor, Charlotte and Philip; her husband, Albert; her brother, Jeff Tooley; and her mother, Eileen. A Memorial Mass was held at 11 a.m. on Saturday, July 8, 2017 at St. Gabriel Catholic Church, Fayetteville, with Father Tim Gadziala as Officiant. The family received friends from 5-8 p.m. on Friday evening, July 7, 2017 at Carl J. Mowell & Son Funeral Home, Fayetteville, with a rosary at 7 p.m. A fund is being established for the Lambert children. Information will be published via Facebook in the coming days.